Diamond Club Calypso has a wonderfully friendly, relaxing ambience and is a perfect holiday location to suit all ages. 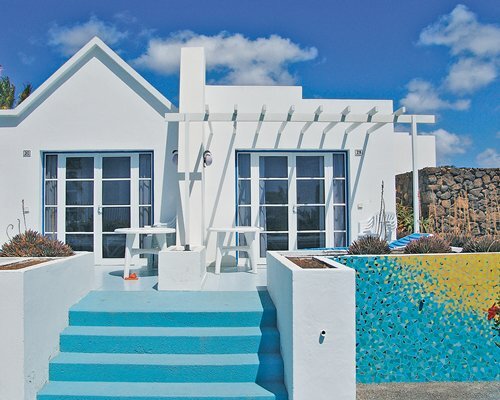 It is located within a stone's throw of the water's edge and the beautiful sandy beaches of Puerto del Carmen. These superb beaches offer the full range of popular water sports. On-site is a snack bar. Nearby are a choice of shops, restaurants and bars. Diamond Club Calypso is ideal for families or couples looking for a real get-away-from-it-all destination. The spacious and airy apartments at Diamond Club Calypso are open plan andbeautifully decorated and include a comfortable sitting area with satelliteTV, which has access to a range of English speaking channels. All unitsare interspersed with flower-filled gardens surrounding you with an array ofcolor all year. 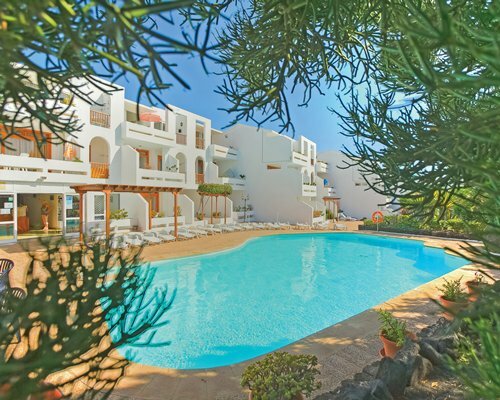 Each unit also has its own balcony and is positionedaround a large heated swimming pool with a children's section and anenormous sun terrace. 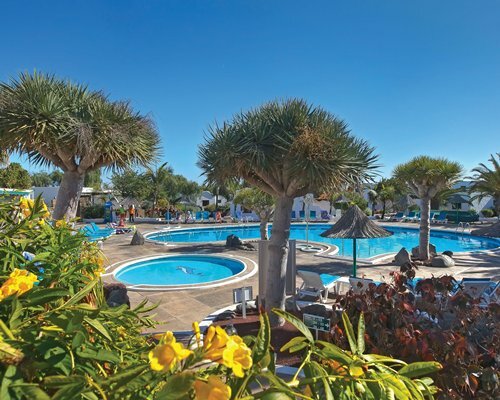 With its good all-year-round weather and well-maintained public areas,Lanzarote continues to be a popular holiday destination. The town ofPuerto de Carmen is spread along over miles of golden sandy beachesblessed by waters that are considered to be some of the most tranquil inthe Canary Islands. The quaint and peaceful Old Town includes the harborand docks, Puerto Tinosa, and is a great break away from the full onentertainment in the New Town. Mandatory Security deposit is 50.00 Euros. Cash only is accepted. The entrance to your resort is via the main gate situated on the corner of two streets called Calle Alemania and Calle Italia. Reception is situated in the first apartment, (Apartment 36) on the right hand side as you walk through the gate. The entrance number code for the key pad at the gate is C1267. Guests will have to put in the code and turn the handle. Should the wrong number be put in by error, you just need to press the "C" button to clear the memory and input the correct code. Should you be arriving outside of the check in hours, you must notify Resort Solutions by either telephoning the office on +44 (0) 1858 431160 or email admin@resort-solutions.co.uk. In the event of an emergency, or if you unexpectedly delayed please contact Lindsay Arrowsmith, Resort Manager on the emergency contact telephone number: 00 34 628 816 697.